You guys have got to check out this jewelry. 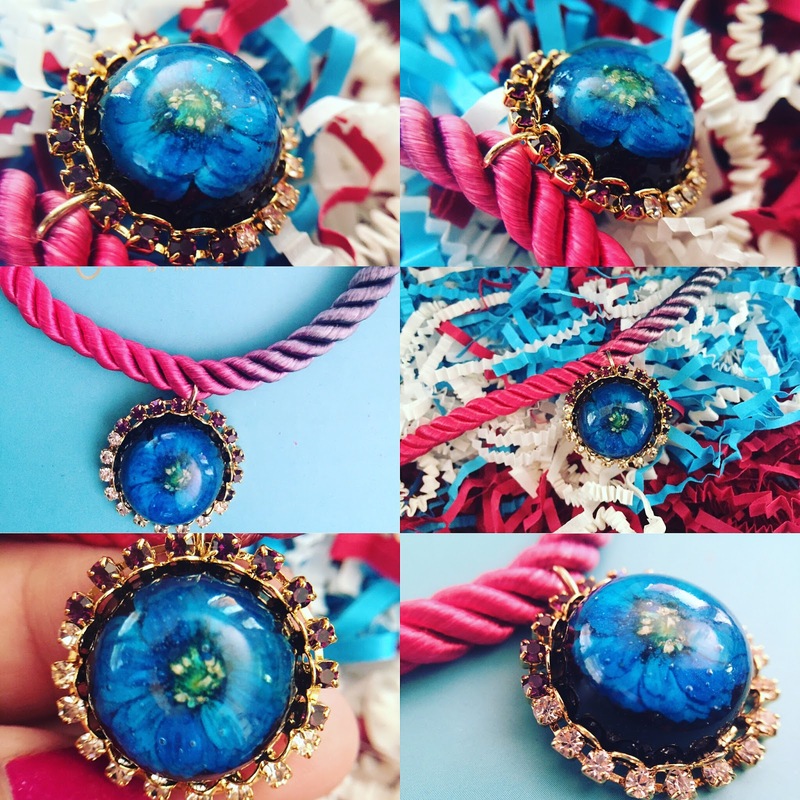 It contains real blooms inside gorgeous pendents in necklaces, bracelets, rings, and earrings. 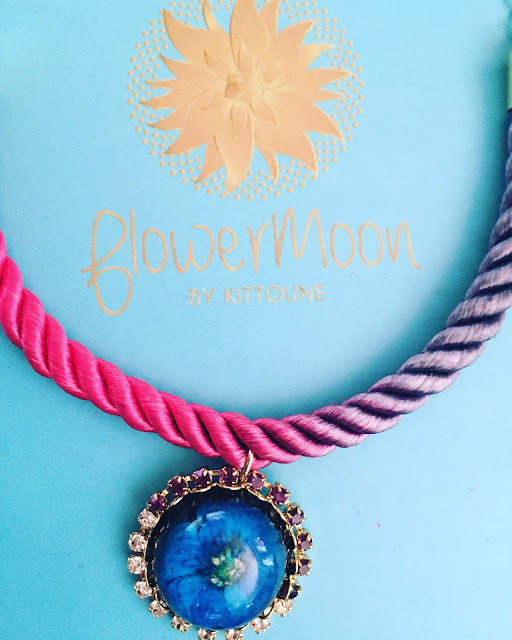 Upon visiting FlowerMoon® by KITTOUNE®, you will find links to the type of jewelry the carry as well as the flowers they use such as Queen Anne's Lace, Hydrangeas, Daisies and More. Selecting a piece is the hardest part. They are all really special and none of them will be the same. The colors are cast in resin and placed skillfully in eye catching pendants. Each piece has a name such as "A Bloom In the Sea", "Garden Party", "Angel', and "Fairy Dust" just to name a few. These pieces make great gifts for yourself or someone you love. 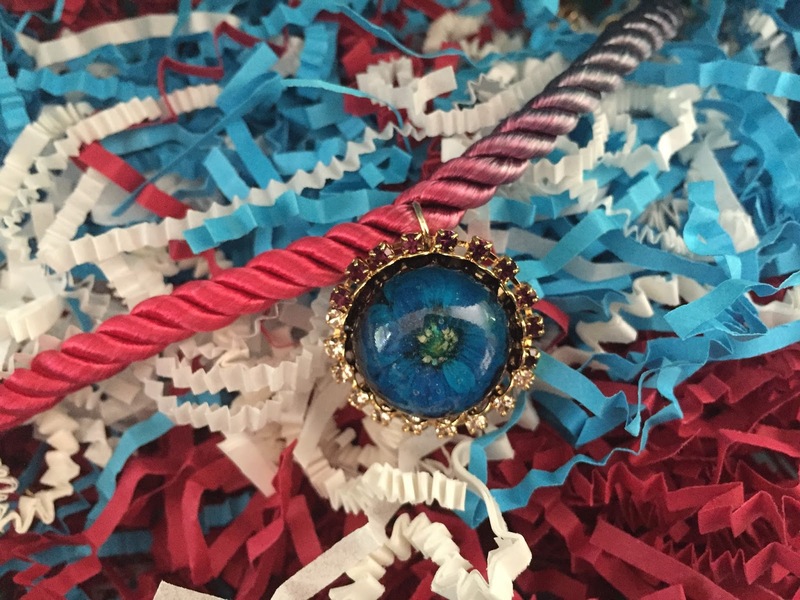 Besides knowing you are buying a unique piece of jewelry is knowing that Flower Moon gives 10% of their profits to charities that deal with depression and mental health. What beautiful and great idea. I love the real flower jewelry idea. The necklace you shared is so pretty. Thank you for sharing.